Winning photographer Mary Whitehead’s images are displayed in the exhibition, ‘Group of Seven plus One’ currrently on display at the Millicent Gallery, and this week she shared her passion for the craft with 5THE FM/wattlerangenow.com, providing the following insight into what inspired her to seriously pursue photography. “The photos I have on display are those entered in the Rotary Photographic Art Show (RPAS) this year and I was amazed & thrilled that I won all three categories I entered,” Mary said. Mary provided the following article for us. ‘My husband Tony and I are both keen photographers. We live on a farm at Furner and I am the Manager of The Banksia Company, a native flower plantation at Furner. This year we both entered images in RPAS and were thrilled with our results. I was asked to participate in this exhibition and my entries are here on display. My passion for photography began in 2011 when I was offered a Baker Group – Padthaway Estate sponsors ticket to attend the Rotary Photographic Art Show. I was amazed with exhibition, such fabulous images on display and especially loved Steve Chapple’s HDR images. I wanted to make them too. The following day I attended a RPAS workshop where we were able to look around the exhibition and discuss the images. I was hooked and went home to try my hand at HDRs on my little Panasonic point and shoot. My husband Tony had a owned serious Nikon DSLR camera for several year. His camera had lots of complicated menus, dials and options which had intimidated me but it was quickly hijacked. I took thousands of images, most were bad, but at the time I was impressed. We both attended several of Steve Chapple’s workshops where with his patient instruction I learnt the basics. Steve’s work and enthusiasm for photography has been and continues to be inspiring. In following years I have attended other RPAS workshops allowing me the opportunity to learn, meet other photographers and shoot in great locations with willing models. 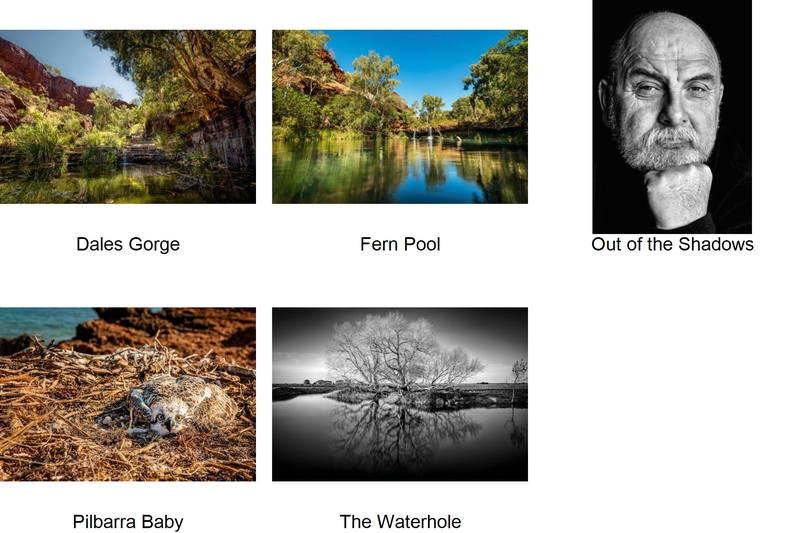 I follow photography websites and forums and have participated a few online photography workshops which were very helpful. Mary was keen to show her appreciation for local support thanking the WR Council, Steve Chapple and Manager of Libraries Janice Nitchscke and staff. “It was a fabulous evening last Friday; the gallery was filled to capacity and it’s great to see the exhibition supported in this way,” she said. The Exhibition is open during Millicent Library Hours until Sept 3rd. Categories: General News, Millicent, Wattle Range | Tags: Photographer Mary Whitehead | Permalink.